Spring has finally sprung! Here in Texas, anyway, it's warm and clear and *achoo!! * Oh yeah, there's the allergies. 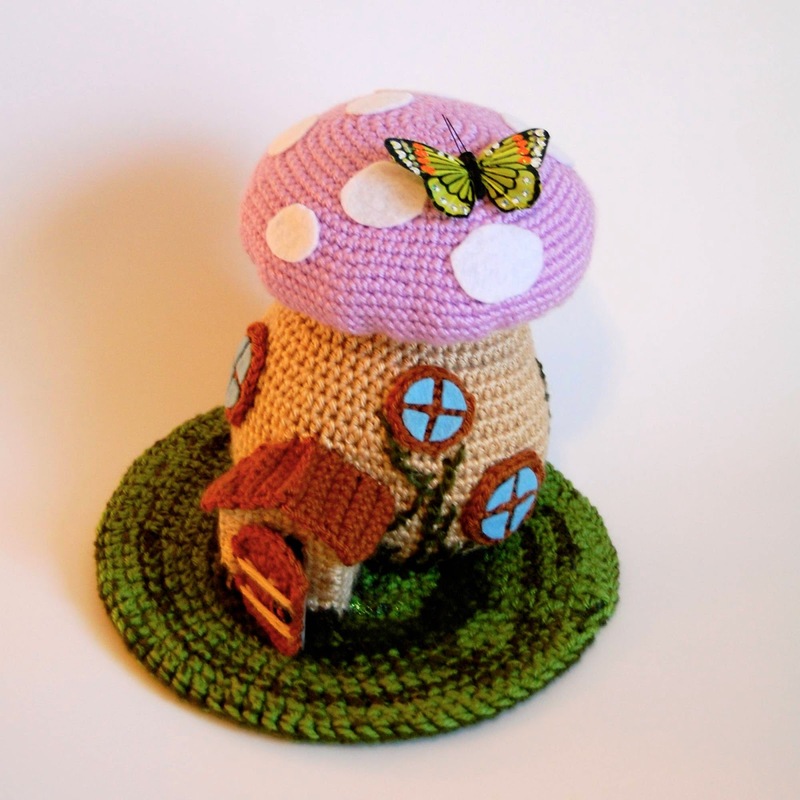 Well, even if you're suffering some sneezy fits, you can crochet this precious little Fairy House. It's fun to make. *This pattern was designed by me for Michaels.com. 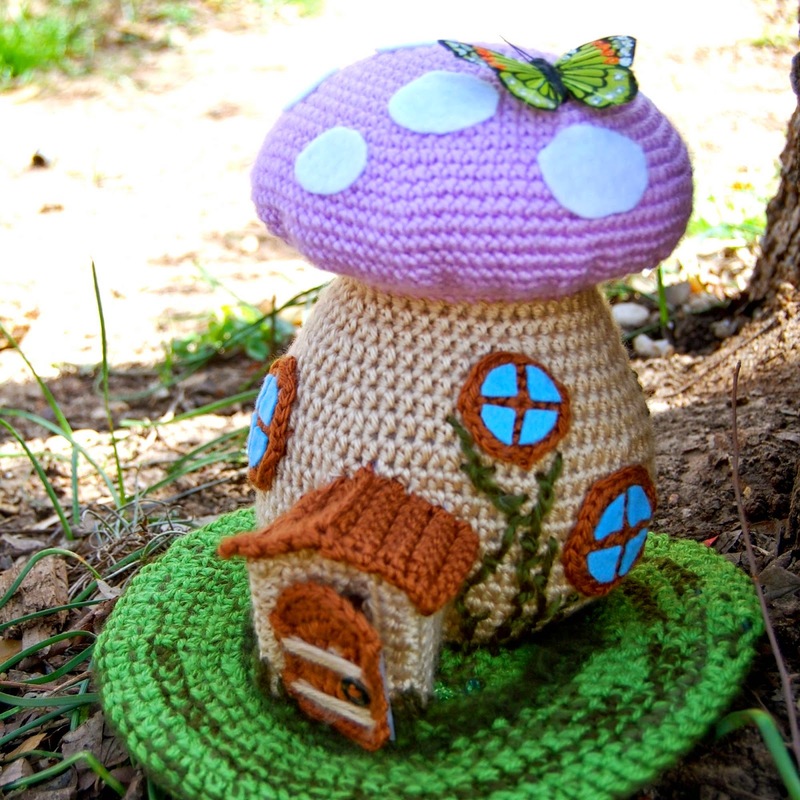 Perfect for a springtime display, this little house will welcome tiny magical fairies. 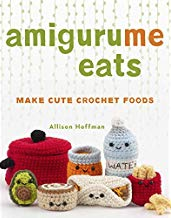 You'll love using simple stitches and fun embellishments to crochet the house, and children will love imagining the secret world inside. 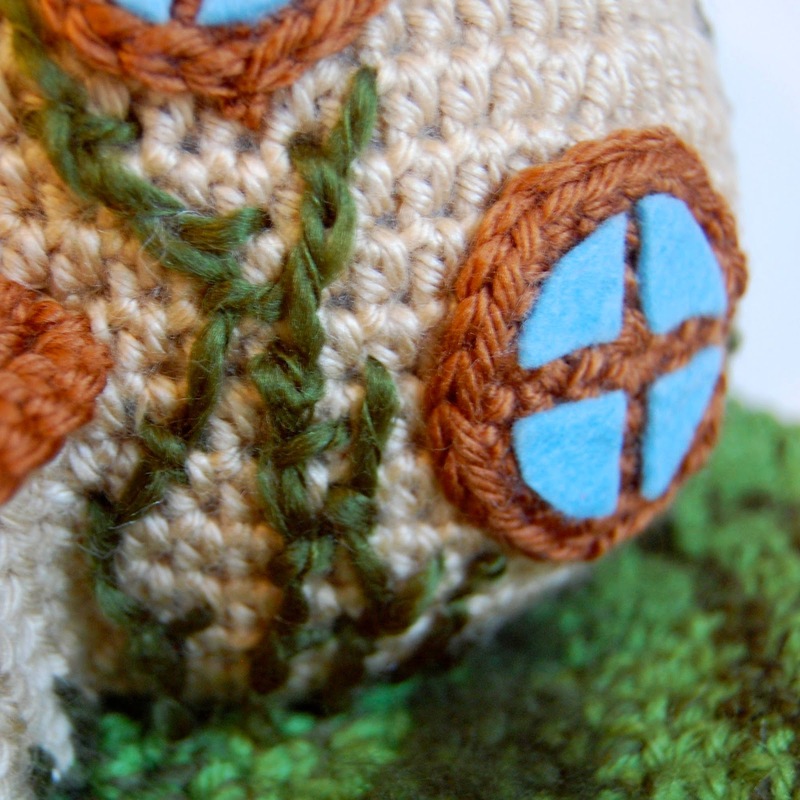 Texture-changing yarn creates the perfect landscape with a variety of green shades. 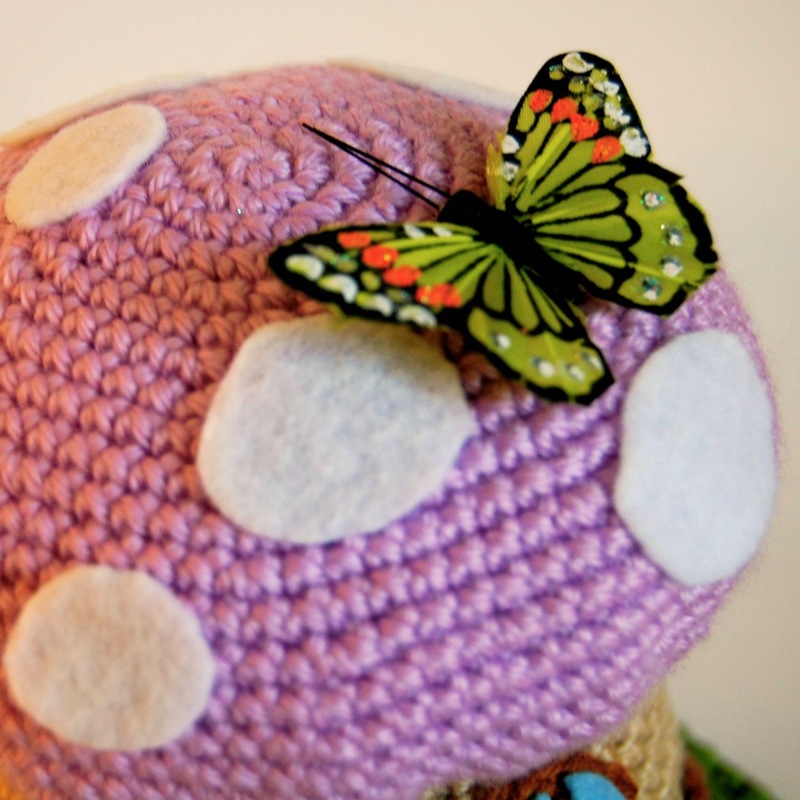 A sweet butterfly rests on top and a tiny door opens and closes. 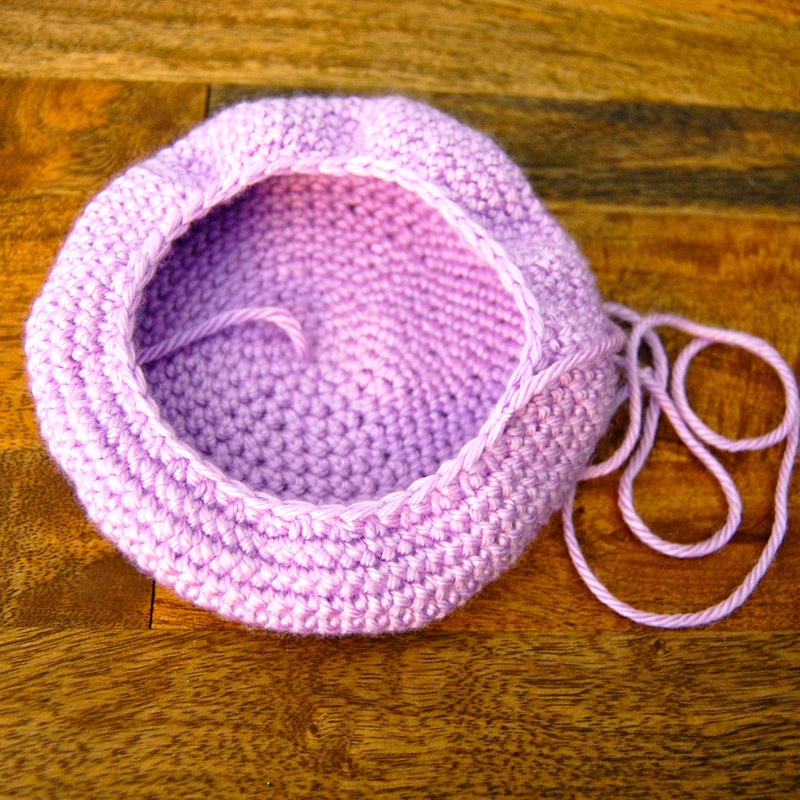 The pieces are all crocheted in the round in unjoined spirals, unless otherwise noted. Use a locking stitch marker if necessary to mark the beginning of each round. When you complete a round, move the marker to the loop on your hook and continue crocheting. Rnds 18-20: Sc into each st around. Fasten off, leaving a long strand of yarn for sewing. Set aside. Starting at the top of the stem, with yarn B and an E hook, ch 40. Join to 1st ch with a sl st.
Rnd 5: Hdc into each st around. Rnds 10-12: Hdc into each st around. Rnd 17: Hdc into each st.
Stuff the Mushroom Stem and Cap, and position Mushroom Cap on top. Stitch together, lining up each stitch, stuffing more as you go. Set aside. With yarn B and E hook, ch 12. Lay the Porch piece flat over a piece of plastic canvas. Trace the shape onto the canvas. 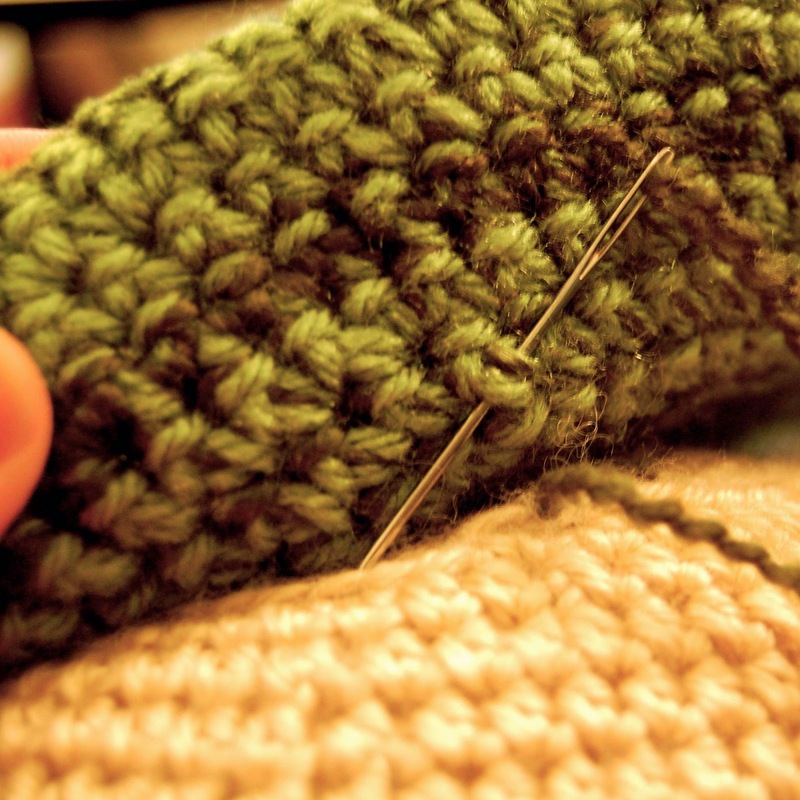 Trim the canvas, cutting into three pieces slightly smaller than the crocheted piece. Stitch the plastic canvas pieces around the edges into the Porch shape. 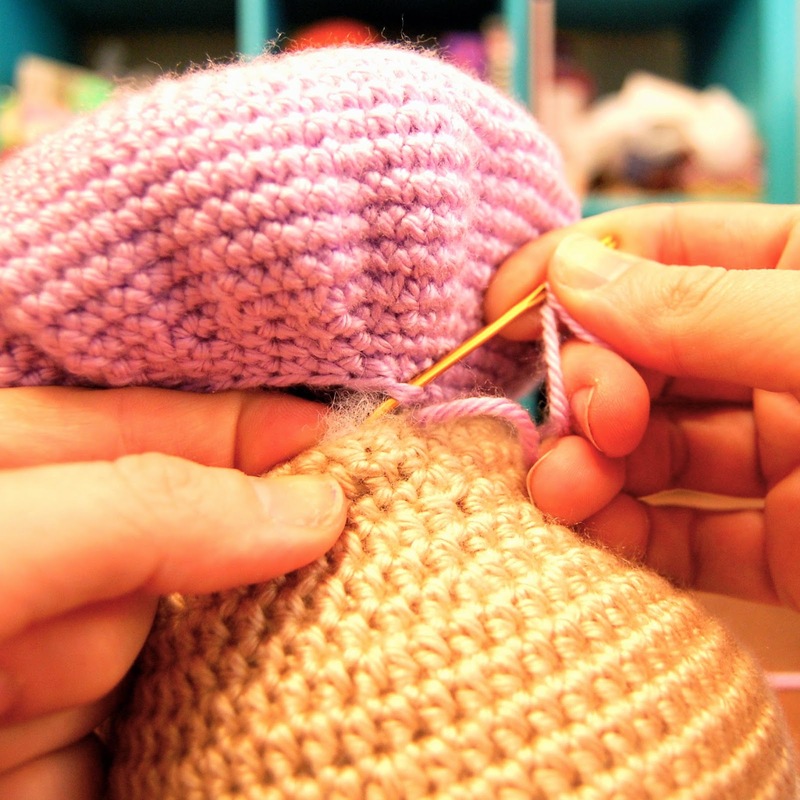 Fold the crocheted fabric around the assembled pieces and stitch edges around to secure. Position the Porch onto the base of the Mushroom. 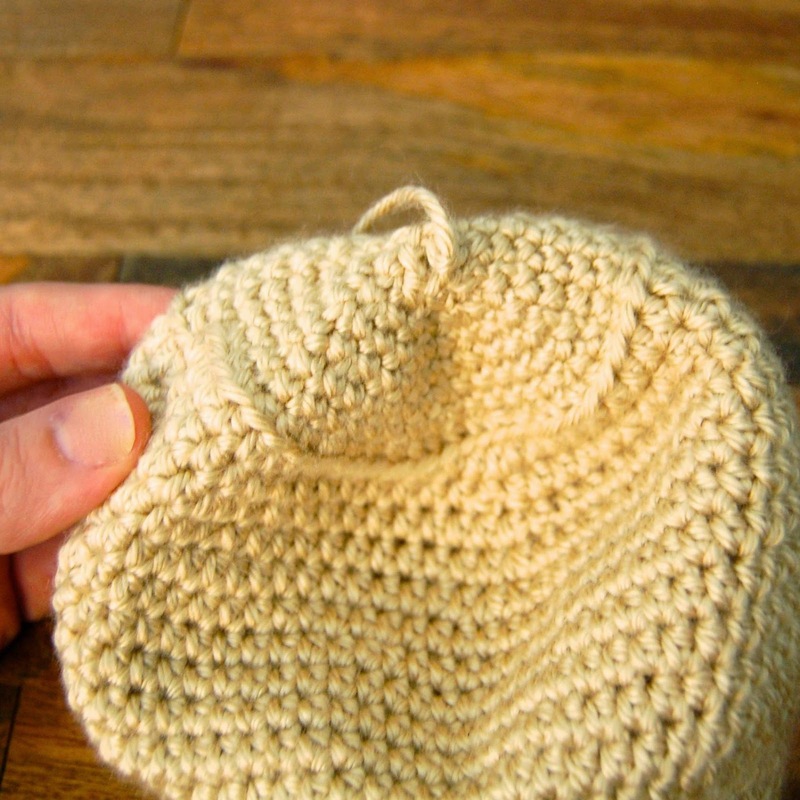 Using matching yarn B, sew the two edges into place as shown. Weave in ends. With yarn C and an E hook, ch 8. Sew the Roof to the top of the Porch along each side and across the front, and sew the back to the house. Weave in ends. With yarn C and an E hook, ch 7. Row 6: Ch 1, turn, sc evenly all the way around edge. 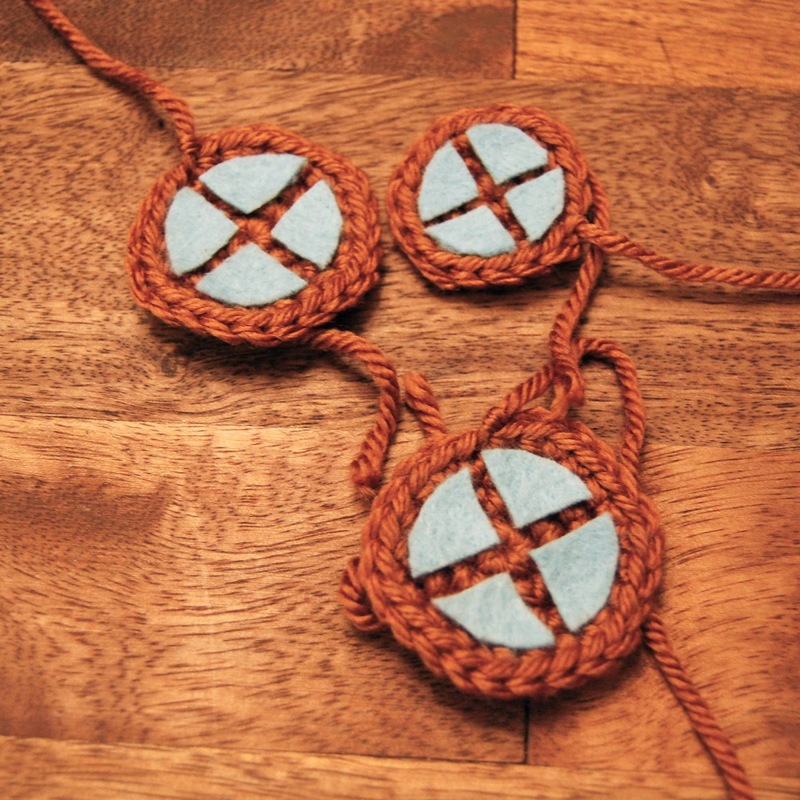 Sew a small brown button to the front of the Door. Lay the Door on a piece of plastic canvas and trace the shape of the Door. Trim the canvas smaller than the Door. Use the yarn tail to sew the Door to the plastic canvas. Thread a yarn needle with yarn B (light brown) and stitch several long stitches across the front of the Door. Sew one side of the door to the Porch opening. Weave in ends. With yarn C and an E hook, make an adjustable ring, ch 1, sc 6 into ring. Pull tail gently to close ring. Position into place on the House and use the yarn tail to sew to the house. Cut a small circle from blue felt. Cut circle into four pieces and glue to the Window. With yarn D and an H hook, make an adjustable ring, ch 1, sc 6 into ring. Pull tail gently to close. 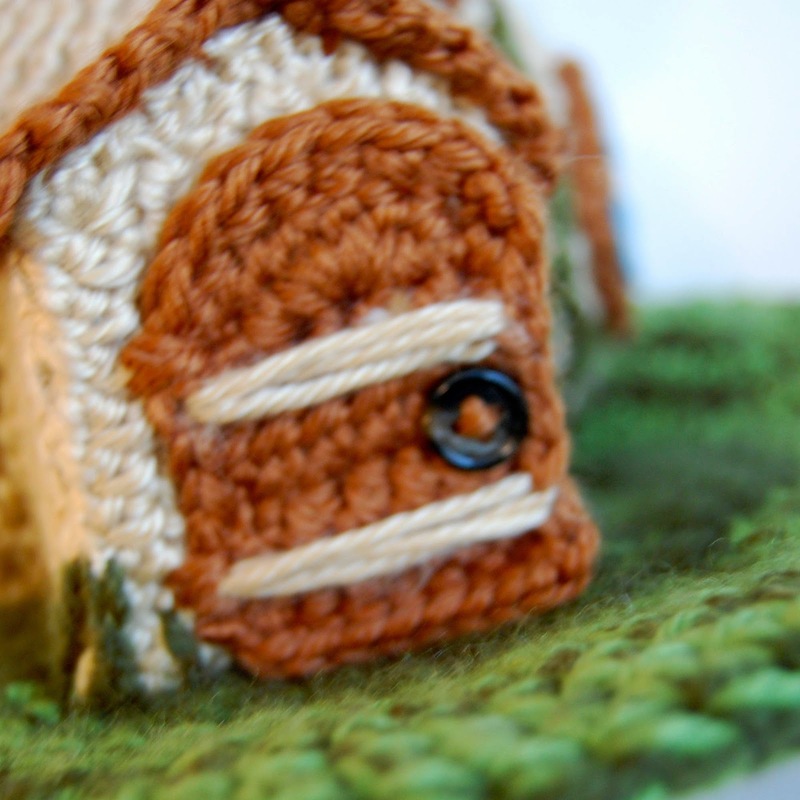 Using a dark green strand of yarn, sew House to Grass. At several spots around the House, weave a strand up the side of the house, securing with small diagonal stitches to look like leaves on a vine. Stitch all the way around the House and Porch, avoiding the Door opening. Cut several ovals from white felt and glue to the top of the House. Remove any wire or clip from the bottom of the butterfly, if necessary. Glue the butterfly to the top of the House with strong craft glue. wooowwww. so cute!!! Thank you!!!! great instructions. 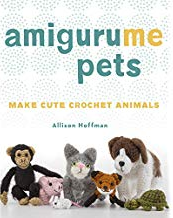 But I found this as a buying guide here. This confuses some. Claudia, thanks for pointing this out! I've contacted the seller and she's removed it. Cute, so cute! 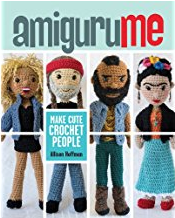 I want to make this! WOW! That's just adorable!! :-) I love it! Fantastic Fairy House. Thank you so much for sharing it with us. Do you have this in downloadable pdf format (so we can print off or take with)? WOW!!!! This is something that is so special it's hard to put into words. THANK YOU!!! Thank you for sharing this! 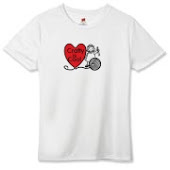 I have granddaughters that will love it. Hi Nanske! Yes that would be fine. Let me know when you do have it up and I'll share it. Thanks!